Two singles in one twelve month period were all Millie Foster had to show for her time signed to the American President label, but even that small output has resulted in three of the four tracks continuing to get much attention. 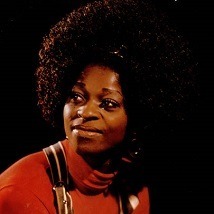 “Bitterness”, the B side of the first release by this girl from Wichita, Kansas has drawn plaudits from soul fans as has the B side of the second single, “Did I Think About You” and the A side of that second single, “What A Thrill” is still a Northern Soul favourite. In 1964, Millie had one single on the 20th Century Fox owned TCF label before a U.S. Fontana label outing fronting the jazz group Shades of Joy, working on one track of rock band Flying Bear Medicine Show’s album on Smash before rounding off her recording career in 1973 recording a Gospel flavoured album for MGM.